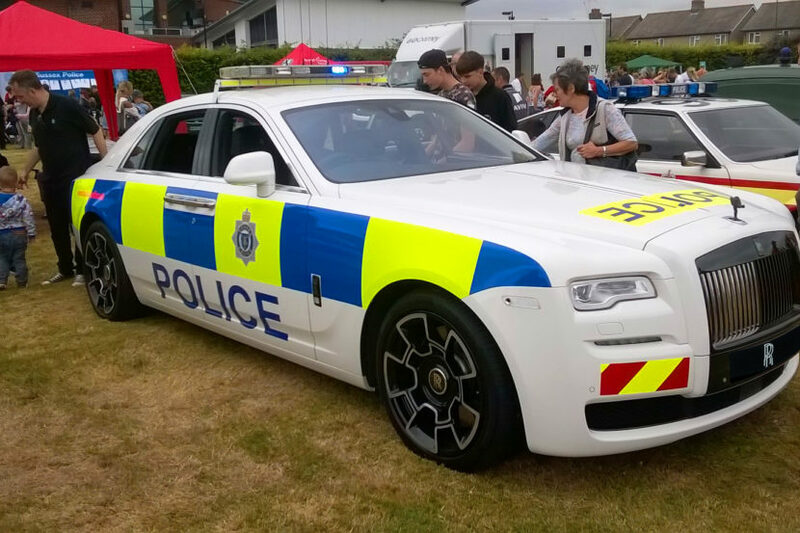 Rolls-Royce Motor Cars was delighted to support Sussex Police at the ever-popular Chichester Police Station Open Day on Saturday. The British company displayed a Ghost Black Badge at the event, decked with authentic lights and Sussex Police decals. As the crowd gathered around to see the peculiar creation, it was plain to see that this was no ordinary police car, instead being quite a different take compared to the usual Vauxhall Astras used by the force. The car Rolls-Royce brought along was finished in Andalusian White, with the interior in Black and Tan contrast leather and the fascia in Black Badge Technical Fiber. The Rolls-Royce ‘police car’ drew huge crowds, including new Chichester MP, Gillian Keegan, who paid the event a visit. The accompanying team from Rolls‑Royce collected donations for Chestnut Tree House, the children’s hospice for Sussex and one of the company’s previous ‘house’ charities. 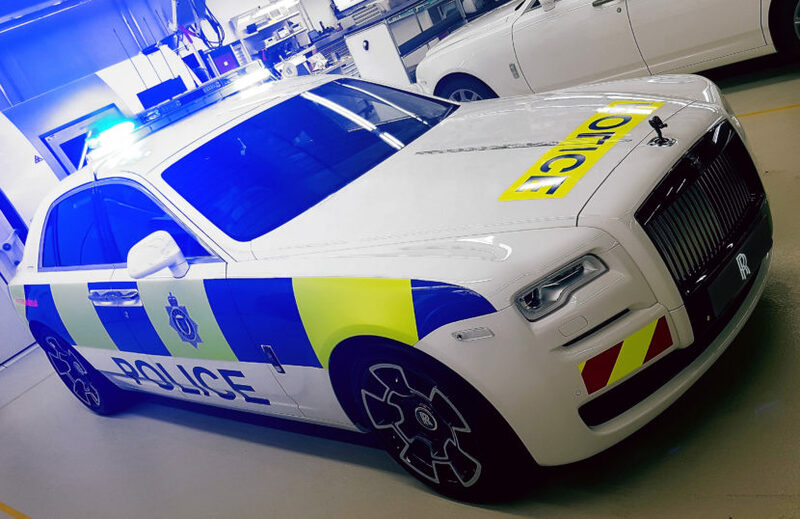 The car has now been returned to its normal livery, with lights and Sussex Police decals removed, dispelling rumors at the event that it would be the first Rolls-Royce allocated to the Chief Constable. That would definitely have put the small town on the map, as apart from the Dubai police force, no other country has such an expensive model working as a patrol car.